Your G for Good Moment: LinkAge Training Restaurant, Yangon. Shwedagon Pagoda visit (Yangon). Mandalay combo entry ticket (includes most sights in Mandalay). Golden Rock visit. Reclining Buddha. Htauk Kyunt War memorial. Amarapura visit. Sagaing visit. 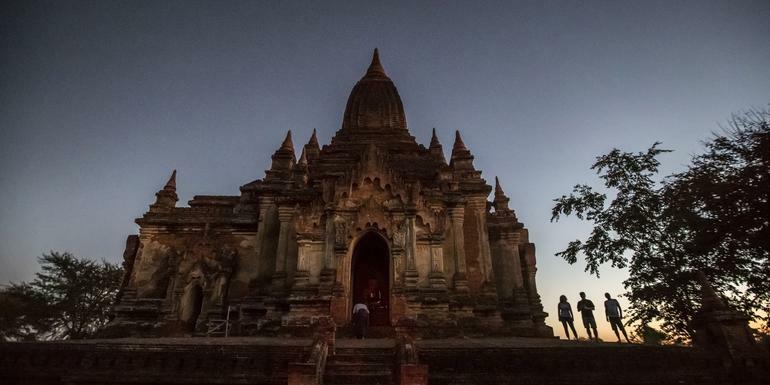 Bagan Archaeological Zone guided tour. Inle Lake boat tour including floating villages (half-day). Shwemawdaw Stupa visit. Mingun boat trip. Local slow train. U Bein Bridge visit. Mahagandayong Monastery visit. Sagaing Hills Meditation Centre visit. Mt Popa visit. Hilltribe hike (half-day). Internal flights. All transport between destinations and to/from included activities.